The growth of mobile internet in Southeast Asia is unprecedented. A 2017 Google report suggested that 90% of internet access in the region is via smartphone, and the average user spends 3.6 hours each day accessing the internet on a mobile device. As mobile internet access becomes ingrained in daily life, wireless operators are responsible for guaranteeing adequate performance. 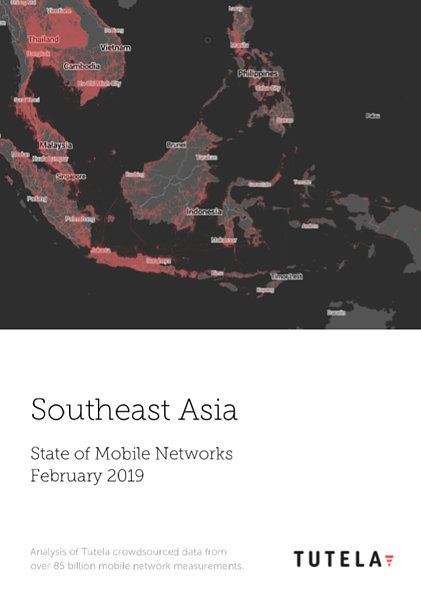 Using 85 billion mobile network measurements collected between December 1, 2018 and January 9, 2019, Tutela has evaluated how each different operator is succeeding in this task. Unlike other approaches that focus on download performance, Tutela’s consistent quality metric and broad dataset provides accurate insight into end-users’ Quality of Experience. As a result, Tutela helps mobile operators deliver the best performance for the stakeholders who matter the most – customers.